With a starting price of $1,300, the new JS7000 4K TV is the least-expensive option in the company’s flagship SUHD line. 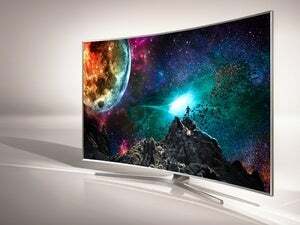 Samsung has added a new model to its 2015 4K TV lineup, the bulk of which it began shipping in April. Based on the same Tizen smart-TV platform that powers the rest of the range, the new SUHD JS7000 is among the South Korean company’s more affordable ultra-HD offerings. 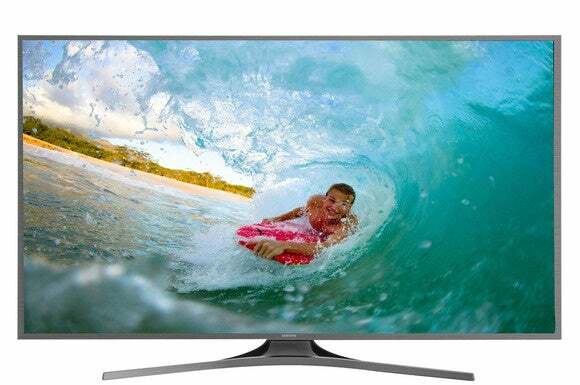 The television is available in 50-, 55- and 60-inch variants, priced respectively at $1,300, $1,600, and $2,100. The JS7000 is a quantum-dot set with full-array local dimming. In other words, they provide an incredibly wide color palette with very deep blacks to produce vibrant images. 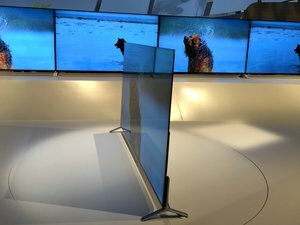 The company says it’s even good enough to handle HDR (high dynamic range) content, which is seen as the next big step after 4K and the key to delivering a more life-like TV experience. One image-enhancement feature that you are likely to find very useful—at least for now—is the TV’s ability to upscale lower-resolution images to its native 3840x2160 resolution. This being a smart TV, you can use it to browse the Internet, run apps, and play games. It also boasts a host of other interactive features, including smartphone display mirroring and the ability to stream content to and from mobile devices. On the hardware side, the JS7000 packs a quad-core processor, four HDMI ports, three USB 2.0 ports, built-in 802.11ac Wi-Fi, Bluetooth, and ethernet. There’s also an optional camera accessory for those interested in being able to control their TV through hand gestures. Why this matters: The JS7000 is currently the most affordable model in Samsung’s flagship SUHD line, and yet it seems to possess pretty much everything one might expect to see in a top-of-line modern television. This is important because splurging a huge sum on a 4K TV is still pretty difficult to rationalize, what with the abject dearth of ultra-high-definition content. The JS7000 SUHD TV will allow more people than ever before to enjoy breathtaking picture quality from Samsung’s best TV ever,” said Bill Lee, VP of TV product marketing at Samsung, in a press release.